Hotel in Jerusalem: old tradition, special atmosphere, warm reception and great Jerusalem hospitality. The Jerusalem Gate Hotel conceptualizes everything that a Jerusalem hotel in the Holy City has. It embodies a spirit of health, happiness & high standards of service. Amongst all, the true Jewish ambiance of what is specific to a unique Hotel in Jerusalem. Its easily accessible to any part of the city. The Jerusalem Gate Hotel is one of the best Jerusalem hotels. It has 10 floors, 298 rooms, comfort rooms, to deluxe rooms, singles, doubles, twins and triples for the family. The rooms featuring air conditioning unit / heating, direct dial phone, cable TV, hair dryer and free Wi-Fi in the lobby and hotel’s rooms. .A multilingual team is always available for you. Our Shopping Mall, attached to the Hotel is a shopper’s paradise, with a varied choice of designer stores, pharmacy, hairdressing salon, jewelry stores, fitness center and eating places. Across the road there is an emergency facility, open 24 hours per day and around the corner is the new Main Bus Terminal which allows the guest to hop on a bus to any part of the city or even to another part of Israel and also with a short walking distance from the light city train station. 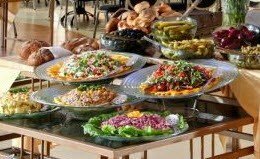 What makes the Jerusalem Gate Hotel unique in its kind is that this is the only hotel in Jerusalem that offers “Le Mehadrin Glatt Kosher meals" and a Mikve for men on site. . 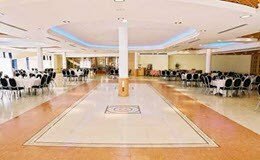 If you are looking to arrange a conference or special occasion in a Jerusalem hotel but don't quite know where to start we also have the solution for you. The Jerusalem Gate Hotel boasts few of the city's finest venues. From 10 to 550 people, whether it is for a convention, or a wedding or even a small dinner party, the Jerusalem Gate Hotel is able to cater for any request that you might wish for. Once you book an event with us, a dedicated coordinator will work with you from planning your event right up until your final delegate leaves the hotel to guarantee that your meeting or event is actually a success. Knesset 26 min. 10 min. Israel Museum 27 min.13 min.